Wardrobe with sliding doors with new concept panels which provide the application of the fabric with a new system, giving as result the perfect fusion of the two materials. Thanks to this brand new and particular application the natural and elegant thread fabric results to be anti-spot, anti-scratch and very resistant. 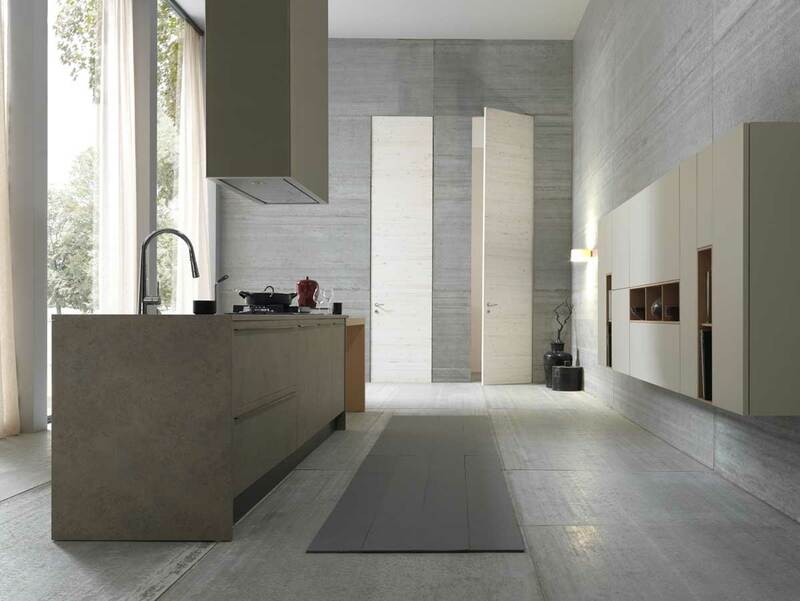 The wardrobe is available with panels with melange grey fabric and smoked glass.